I may be reviewing some designer scents in the near future; the method for rating them might seem unconventional but I hope more accurate than other systems fragrance reviewers use. Read the rest for an explanation. AS IN MANY facets of life, I assiduously research my options and take obsessive amounts of time in coming to a decision. Some choices have been harder and more in-depth than others. As painful as this may sound, some decisions are enjoyable to the point that they are — or can be considered — a hobby. It might seem silly to argue that cologne is a hobby. After all, most people do not have the money, resources, or patience to create their own fragrances, and creation is the central aspect to any hobby. 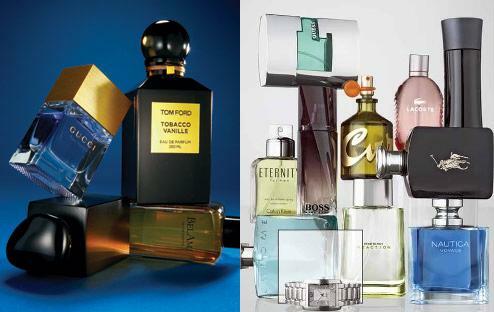 However, choosing a fragrance(s) to wear is a complicated task for those who are as picky and indecisive as I am. The internet has given birth to a community of "scentophiles" that share their experience and knowledge. Many people find the online fragrance community and plethora of fragrance reviews to be frivolous; the variation between people's noses makes each person's experience as different and irrelevant as the misleading (and often way too abstract) descriptions that reviewers provide. That being said, just because you can't smell fragrances over the internet doesn't mean it can't help you make a decision. I have learned quite a bit by reading about them so far. It really is an art. Reading the reviews can help point you in the right direction. In the end you may find more that you like, or take less time to find that perfect, "holy grail" fragrance (haha). I am going to try my hand at reviewing some men's cologne. My goal is to write a more accurate description of what specific fragrances smell like, as well as adding some general emotions that they may create as well as anecdotes from their use. I do not have much experience in the breakdowns of fragrances (base-, middle-, top-notes etc), nor have I sampled a big amount. But maybe they will help somebody. Longevity: scale: 1–10. How long will the fragrance last? I'd say that quarter-life (when the scent reaches about 25% of initial power) is what I will mean when I say "this scent lasts X hours"
Projection/Sillage: scale: 1–10. How close you need to be to the source in order to smell it. (Sometimes, you want a low projection so only those closest to the wearer can smell it. This factor will be ignored. The more a fragrance can project, the higher the score). Sillage is a slightly different concept than projection, but for my intents and purposes part of the same criterion. Uniqueness: scale: 2–10. This will be a combination of how original the fragrance is (1–5 points) and its inverse-popularity (1–5 points). Quality: scale: 1–20. My subjective opinion may come into play here, but I will try to save that for my "extra credit" (see below) and keep this rating as objective as possible. If a scent is of high quality, I will aim to give it a high score even if I don't enjoy it. Versatility: scale: 0–3 extra credit. A truly great fragrance should not get points taken away if it is not versatile, especially if it was designed for a specific season/occasion. But a scent that is very versatile should get some credit, and therefore may receive up to 5 points extra credit. Personal favorite: scale: 0-3 extra credit. Statistics will tell you that even if only ONE person smells a fragrance and that person likes it, that fragrance is more likely to be widely enjoyed and of good quality than one that that same person did not enjoy. Therefore, personal enjoyment can be inimical to an honest review, so I will probably give 2 or 3 extra credit points to the ones I wear/enjoy.